It started on a snowy day and ended with the sun setting on an International career. I am of course talking about the recent scandal involving FC Tokyo defender Jang Hyun-soo’s alleged ‘doctored’ community service reports. Even though athletes can earn exemption in recognition of their contribution to the country’s reputation and prestige those who earn the exemption need to complete basic military training. This can take up to 60 days, as well as 544 hours of sports-related community service over 34 months. In Jang’s case it would appear that some of the evidence he provided didn’t stand up to scrutiny during a National Assembly audit with dates and pictures that he submitted as proof falling on days of heavy snowfall where the claimed community service would have been nigh on impossible. The story has been running for just over a week when it broke that Jang would not be selected for the upcoming international matches as per his own request in order to give him the time needed to “complete” his community service. This, as would be revealed, was not the full story of course. By Monday of this week rumors began that the KFA may have known about the full extent of the story long before it broke which may have prompted them to take the quick and decisive action to ban him indefinitely. It would also appear that there in no rule in place for the KFA to rescind such a punishment and so it does, for now, look like Jang has played his last match for the Taegeuk Warriors. It marks the end of a roller coaster year for the defender who recently moved back to FC Tokyo after a spell in China, falling victim to some registration changes by the Chinese blazers. 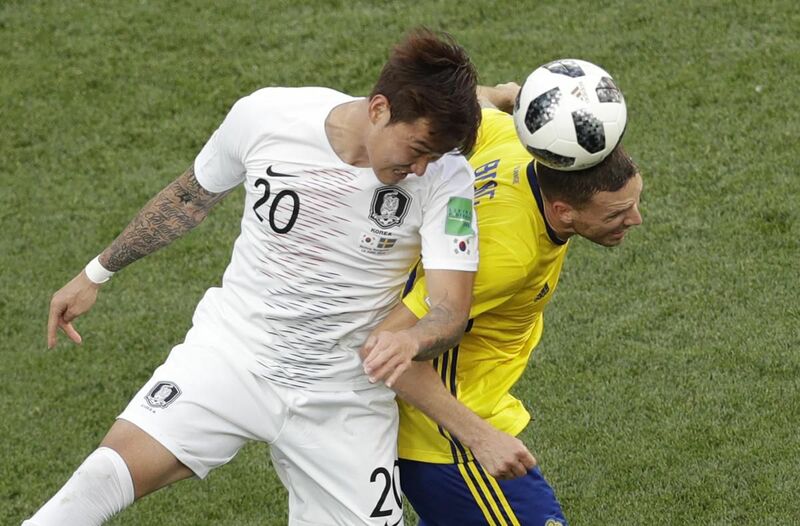 He was largely made the scapegoat during Korea’s disappointing World Cup campaign after being involved in their defeats to Sweden and Mexico, conceding a penalty for handball in the latter and being involved in the run-up to the one awarded in their opening clash with Sweden. It’s safe to say that a lot of the Red Devil’s fans will probably not lament the loss of Jang for the upcoming Asian Cup and beyond but the precedent set by the KFA’s disciplinary is something that may come back to bite them if, however unlikely, others were also involved in similar ‘doctoring’ schemes. The other question posed is what will the KFA/National Assembly do in order to tighten up measures to ensure this doesn’t happen again and what impact might those more stringent checks have on the likes of Son Heung-min, Hwang Ui-jo and Lee Seung-woo who all “won” exemption at this years’s Asian Games…..that is something that will need to be answered another day.